Chai Spiced Gingerbread - in bag with hangsell tag. 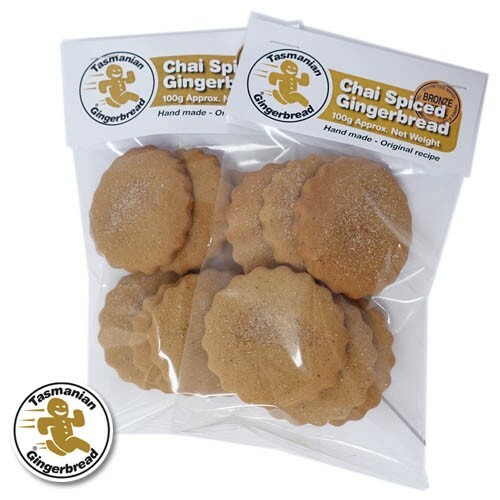 Gingerbread with Chai Spices for a different flavour. Butter, Vinegar, Baking Soda, Ginger, Cinnamon, Chai Spices.